Will the 1516 rustic match the 116 rustic if I change from the 100 to the 1500 series? No the colors do not match exactly between series. Clos but not exact. I’ve bought to much product! First how long will it last? Second will it freeze and not be usable if left out in cold? You state that a second coat is applied when the first is still wet. Is it okay to walk on the the first coat? How long after application? Any tips on transferring stain from 5 gal containers to smaller bucket when staining posts, railings, and benches? 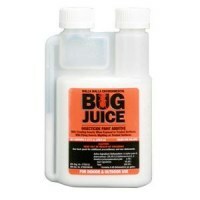 Mix the stain well in the 5-gallon pail well first before pouring it into the smaller containers. I'm currently working on a large backyard renovation that includes 170 feet of (brand new) cedar fence, and a new deck. 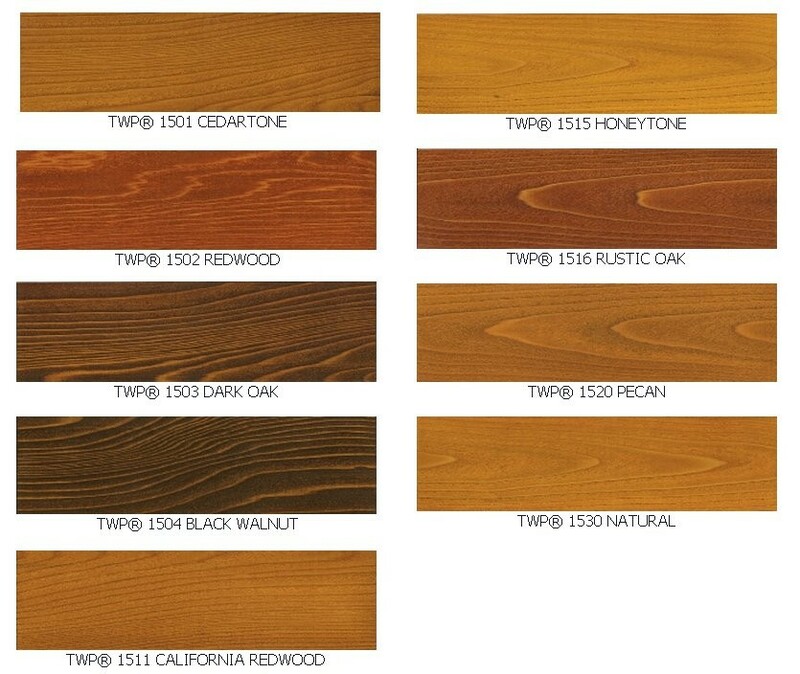 After doing some research, I have decided that the TWP 1500 series stain is probably my best choice when it comes time to complete my project. If you have ever seen the Food Network show "The Kitchen", they have an outdoor set with a wooden fence. I love the color of it, and I'm hoping that I can get a similar result in finishing mine. Which of the TWP 1500 series colors would you think comes closest to this color? I have looked at all of the sample photos for the various colors, but still would really appreciate your advice. My fence is made of rough-sawn cedar pickets on pressure treated framing and top-cap. I'm in Pennsylvania. Rustic 1516 would be closest but it would be a little redder. 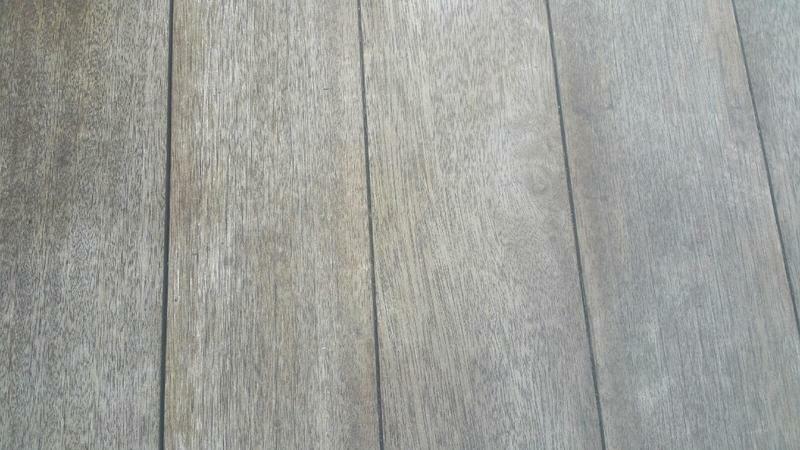 Another option might be 4 parts 1516 and 1 part 1503 Dark Oak. This will add a little more "brown" to the Rustic color. FYI, We do not allow external links so we had to remove. Thanks. I was wondering about the feasibility of color-mixing. This was very helpful. I have 1000 square feet of T&G pine to apply to my porch ceiling that I purchased 15 years ago. I sanded it with 100grit to remove discoloration. Your natural and honeytone color samples are nearly identical. Is that because of the wood type used for the natural? Do you apply this product wet on wet? Should I apply this product to both sides of the wood to avoid "cupping" if moisture appears inside soffit ? Only one coat in your scenario is needed. No on all sides. Just stain the exposed sides. Which is the best for a mountain deck, 100 series or 1500 series in Utah? The cabin sits at 9000 ft in elevation. Try the TWP 1500 Series. Does natural stain offer uv protection? We have a 12 year-old Mahogany deck. During the first years we had it, we would sand and seal with a clear Timber Oil finish that had a beautiful sheen. The deck looked like beautiful hardwood floors. We have always strived to retain the original color of the Mahogany vs. letting the wood go gray. Since VOC legislation, that kind of sealer is no longer available. So, we have tried virtually every kind of "clear" sealer on the market. Some of them left a yellow tint to the wood, which wasn't at all desirable. Some have left black gunk. Some had barely lasted half of the summer season. Last year was the worst so far after using Thompson's--black gunk and for the first time, didn't last and the deck is gray--the most gray that it has ever been. So, we are looking for our next product to try. 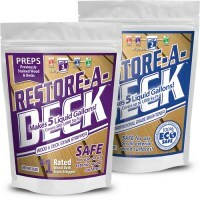 If we use the restore a deck kit--cleaner and brightener--will we have to sand the deck to get back to a Mahogany color or will the brightener restore the original color? We really don't want to change the color of the Mahogany. 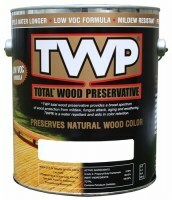 Do we need to use TWP 1500 Clear or Natural, or would Natural change the color? The deck is exposed to a lot of sun and weather. Will the TWP 1500 clear last the summer season? Will TWP 1500 leave a black gunky residue on the deck as it begins to break down? The TWP Clear will not provide UV protection from graying. The Natural will as it is tinted/colored. You must have tint in your stain if you want UV protection from graying. The Natural will enhance/change the color of the wood. The prep kit does restore the color but you will need the Stripper/Brightener Kit to remove the Thompsons. 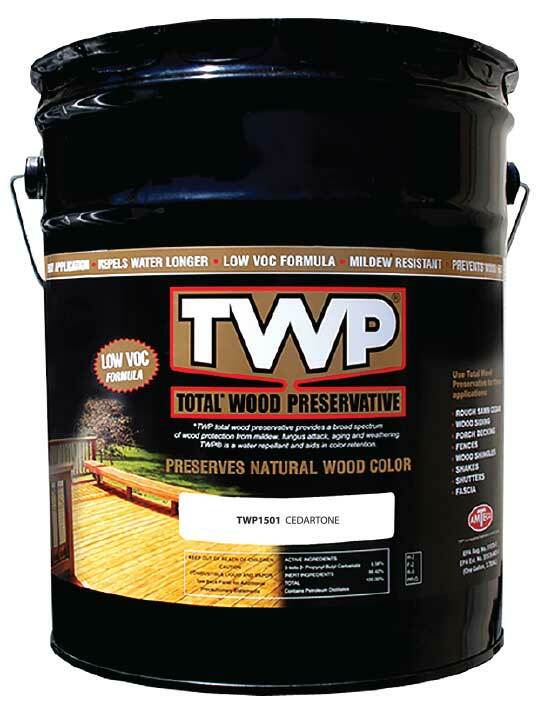 TWP does not leave "black" gunk on the deck but the Clear will gray naturally. So, do I understand correctly that the Brightener neutralizes the Stripper? And do I understand from your response above that we should not need to sand the Mahogany to get the color back from gray to the original Mahogany color--the stripping and brightening should do it? The stripping and brightening will remove the Thompsons and restore the color. You should not have to sand. The brightener does neutralize the stripper. Hello Mike, the TWP 1500 Series has never had a gray color nor has any of the Series had a "Driftwood Gray". I believe you may have gotten the sample confused with a different brand of stain? When using TWP1500, does the surface get slippery when it is wet? 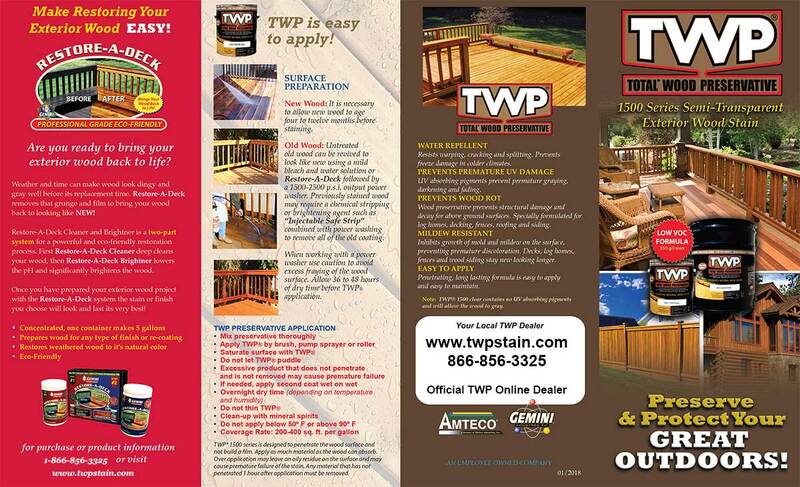 No, it is does not as TWP is a penetrating stain. Please post a picture on the website so we can see. You cannot upload files that are larger than 3mb. Make sure the image is not too large of a file. Here is an example of an uploaded file. All the TWP 1500 colors will preserve the cedar. Pick any color you like that will enhance the natural color. I am building a new pressure treated pine deck at my Daphne Alabama home. 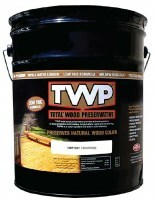 what prep is needed for TWP 1500 on a new deck? How many years do you suggest for reapplication on cedar siding? 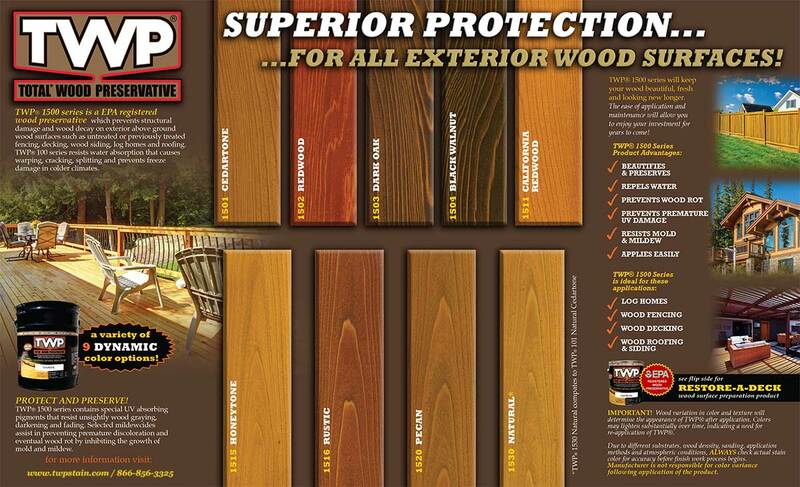 Depending on the UV exposure, the TWP 1500 should last 4-6 years and possibly longer for vertical cedar siding. Please post a picture when done. We love cedar sided homes! Sorry - how much dry weather do I need before I stain? 2 Days after prep for drying and 12-24 hours after applying before rain. Any pollen that lands on the stain when wet could possibly feed mildew growth down the road. I bought the Restore a Deck kit and 5 gallons of TWP 1530. I've got small windows of weather to work with, and we're approaching heavy pollen season. Once I've done the prep work, dry weather do I need to before staining? How much pollen accumulation is too much? Any tips on how to work around it? Or just need to wait till it's over?